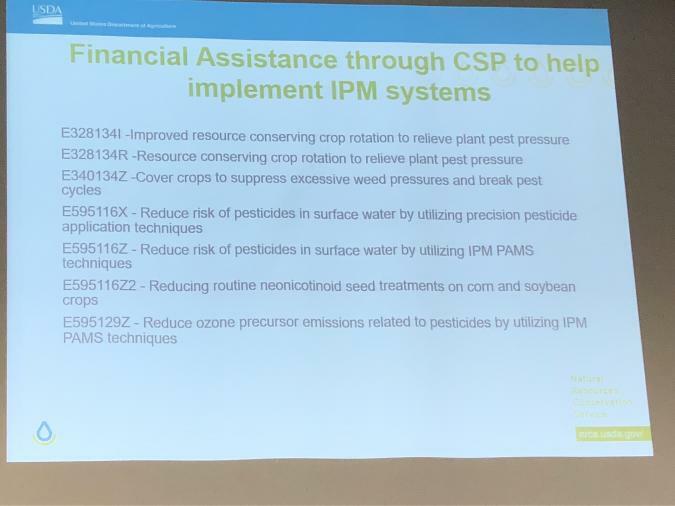 Day 2 of the #ICM30 Conference has wrapped up and while we feel great about the sessions we were able to get to today, there were plenty out there that we were not able to get to that had just as helpful information. 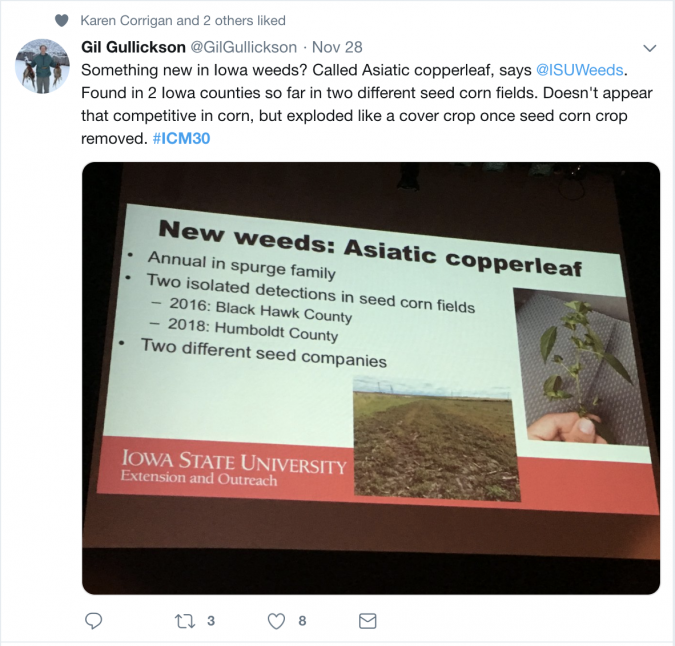 Make sure to get on Twitter and search for the #ICM30 to get all of the updates from various presentations today. 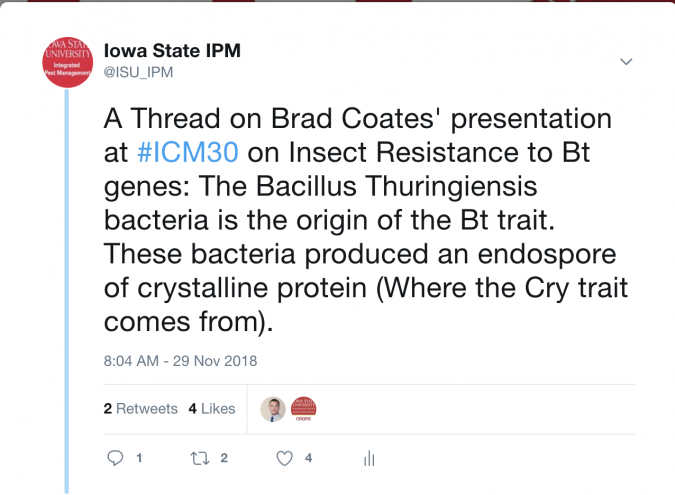 For a very cursory look the presentation, click on the Twitter feed to see the thread that @ISU_IPM shared. The United Nations projects that the world's population will increase to 9.7 billion people by the year 2050. With a worldwide developing middle class, there will be a growing demand for protein. The World Health Organization predicts that meat consumption will be 45.3 Kg/yr by 2030 (24 percent increase since 1999). Though there is an impending need for a growth in agricultural production, trends show a decreasing agriculture land base. From 1992 though 2012, 31 million acres of farm land have been converted (175 acres per hour). Approximately 11 million of those acres were highly productive. Fresh water limitations in highly irrigated areas are also occurring which will result in reversion of 49-108 million acres. From a larger perspective, since settlement in Iowa, soils have lost half of their organic carbon. This results in losing water holding capacity, losing fertility and a loss in productivity. While this isn't anyone's fault in particular, and more a result of a growing world population and demand for food, the current farming systems to meet these future demands are unsustainable. What is required is an IPM approach to farming to promote longevity, or else we risk resorting to older methods of pest control which are more dangerous and volatile. Minimizing disturbance: avoids oxidation, destruction of soil aggregates. With the integrate of livestock as a soil builder, we can see a more beneficial rate of return because cover crops can be used as a feed source, which results in farming economic diversity. 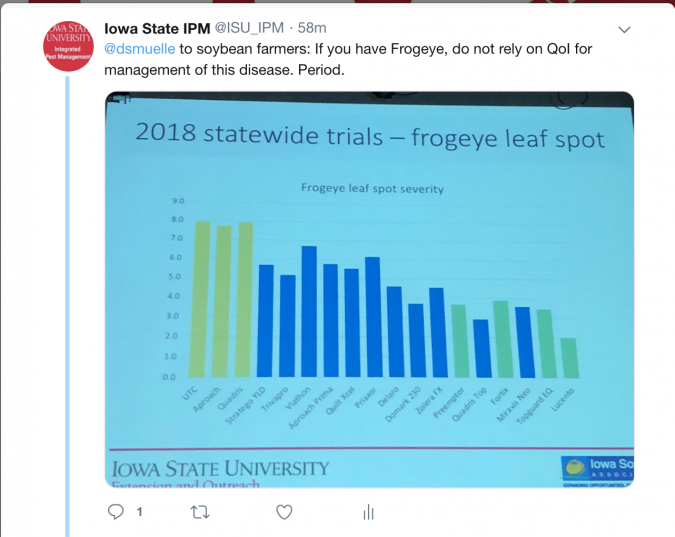 For a summation of Erin's presentation on the newly identified Soybean Gall Midge, visit the ICM website for a complete insect profile. For additional conference topics and conversation, make sure to search #ICM30 on Twitter! To see Day 1's Round up, click here. 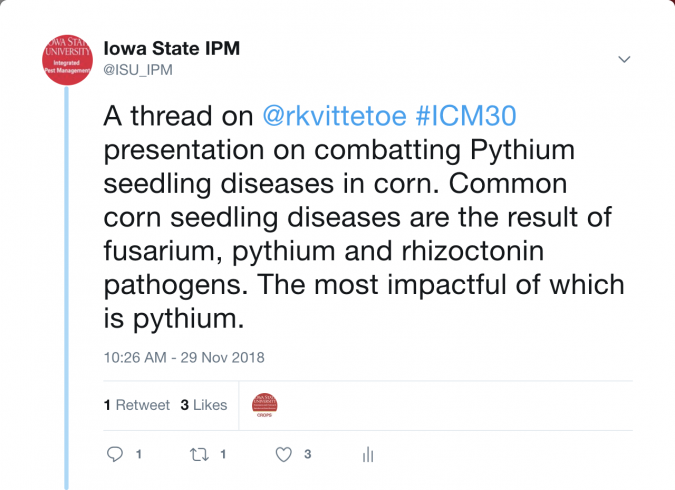 Be sure to sign up for our newsletter to receive these updates and round ups regarding all things IPM!